Monday, February 11th was our annual bowling event. 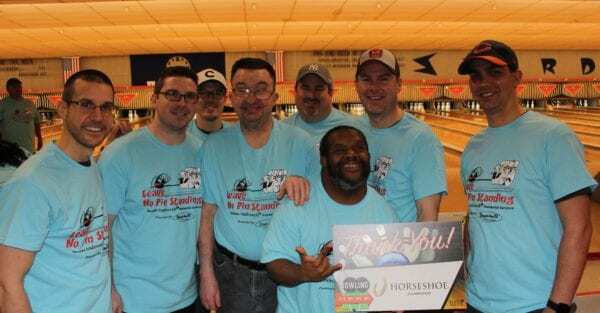 Thank you to all of our participating bowling teams. 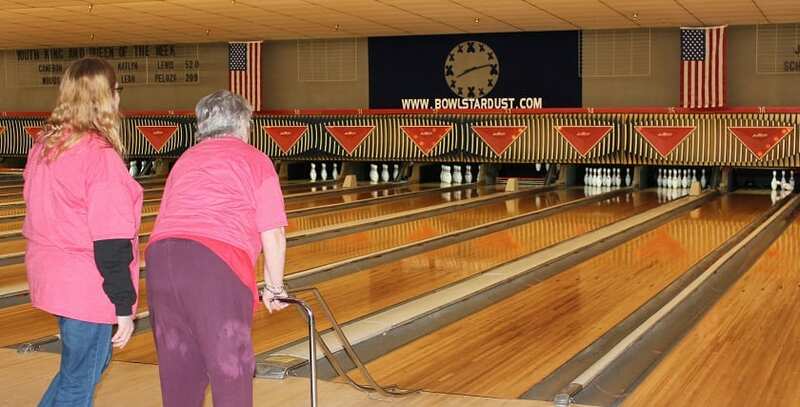 We hope you had a blast with our TradeWinds bowlers!! We know they did and are looking forward to next year!! On Thursday, January 17, 2019, TradeWinds Services, Inc. was presented the “Shining Star Award” at the Lake Area United Way 3rd Annual Star Awards held at the Center for Visual and Performing Arts in Munster. The Shining Star Award is given to a non-profit organization demonstrating superior performance in all aspects of non-profit management, community engagement, and service. 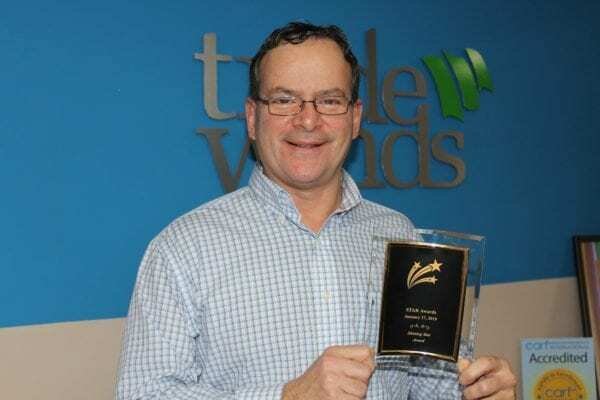 Kudos to the TradeWinds staff, sponsors, supporters, and volunteers who helped TradeWinds win this outstanding award. As part of Comcast Festival Fleet program, Greg Gomolka, Corporate Affairs Manager and Comcast Technicians, Chad Coplen and Ron Newton delivered a new big screen television to TradeWinds Services. As a Community Partner, TradeWinds was nominated and selected to receive this gift. Lisa Tatina, Director of Development and Marketing and Jon Gold, CEO of TradeWinds thanked the Comcast team for their generous donation that will help with staff training workshops. The Comcast Festival Fleet program selects different communities for this program each year. Comcast team members live and work in their local community, to show their gratitude they enjoy giving back to local customers. The Festival Fleet program empowers Comcast technicians to do more than just deliver Comcast products and services. They get to meet customers and families in their homes. During the holiday season, the technicians nominate customers who had made a strong impression during past home service calls and those who they thought were deserving of a special holiday gift. In December, the technicians deliver a surprise to selected customers with a gift of a brand new television, iPad, or gift card. The reaction from our customers is touching and so appreciative, and our technicians love every minute of it. TradeWinds is honored to be the recipient of this wonderful donation. 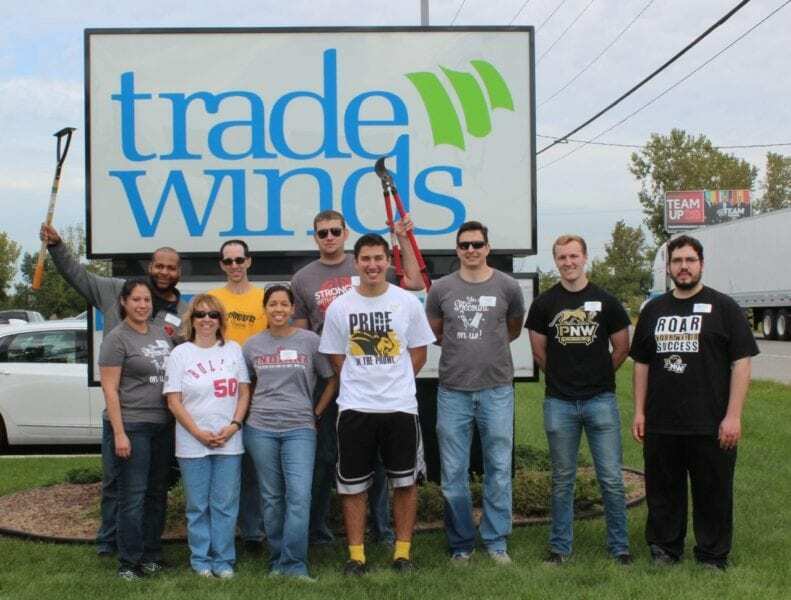 For many years the employees of ArcelorMittal Research Department has been giving back to TradeWinds Services. Pictured delivering their recent donation is Kathy Trebiani of ArcelorMittal, Veronica Castillo receiving for TradeWinds, Bruce Kukuch retired from ArcelorMittal and Venu Krishnardula, head of the ArcelorMittal Research Department. We are very grateful for their ongoing support and friendship. Thank you Research Department, TradeWinds wishes you a wonderful 2019! 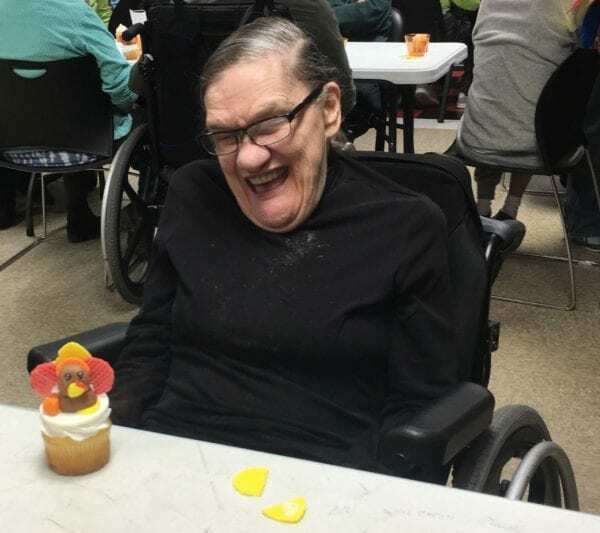 Patty Stovall, local celebrity baker who was recently on the Netflix show “Sugar Rush”, volunteered her time and skills with our Adult Day Activity Program & Training (ADAPT) participants and our children’s department. In November the ADAPT group transformed cupcakes into “turkey” treats. In December the children decorated holiday cookies with winter sweaters. The “decorations” were made of edible fondant pressed into molds. Thank you so much, Patty, a fun hands-on project for all!! On Saturday, October 13th, over 250 guests attended the 40th Annual Deaf Services Luncheon & Style Show benefiting TradeWinds Deaf Services. Debbie Pampalone, Deaf Services Coordinator, was honored for her many years providing services and advocating for the Northwest Indiana Deaf community. 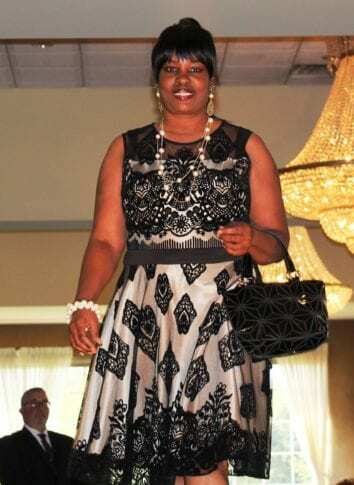 EcoChic Boutique provided the fashions for the models who were our very own TradeWinds staff and Deaf Services clients. Thanks to our corporate sponsors, volunteers, emcee Cindi Rucinski, our model escorts, participating vendors, and the Avalon for making this a great afternoon. The proceeds from this event will help provide more services of support, education, advocacy and access to technology for individuals and families faced with issues related to hearing loss. During the last 2 weeks of August, cashiers at the Lake County Strack & Van Til Food Markets were asking customers to “Round Up in support of TradeWinds”. About 45 of the top cashiers helped celebrate their outstanding success for the TradeWinds CheckOut Challenge on October 10th. 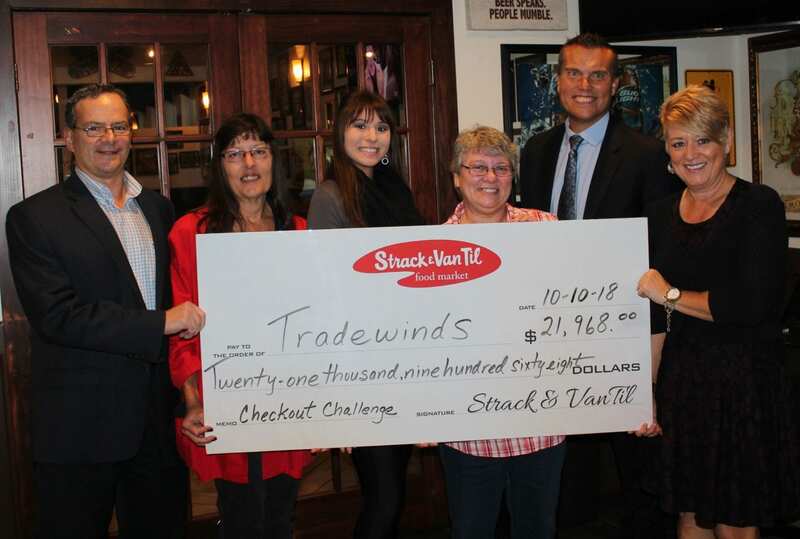 Pictured with the BIG CHECK are the top 3 producers of the CheckOut Challenge (L to R): TradeWinds CEO, Jon Gold; Kim Dziadon, Highland store; Angela Leber, St. John store; Sandra Johnson, Hobart store; President & CEO of Strack & Van Til, Jeff Strack; and TradeWinds Director of Development and Marketing, Lisa Tatina. A big thank you to all of the cashiers for your part in making a life-changing difference for TradeWinds children and adults with disabilities. Friday, September 28th was National CPA Day of Service. 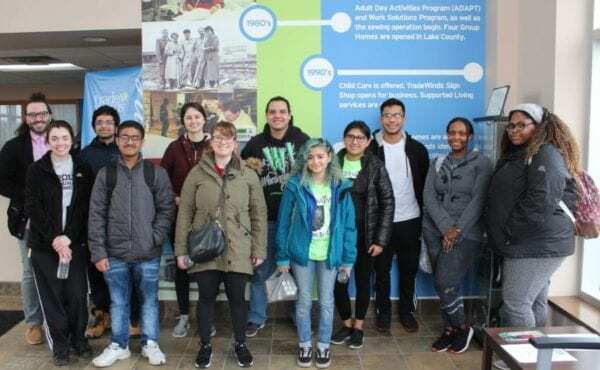 A group of volunteers from McMahon & Associates, Certified Public Accountants, P.C., located in Munster, along with several Purdue University accounting students, came to TradeWinds Services to work on several projects. Their hard work helped spruced up several areas at our facility with cleaning, painting, and yard work clean up. Many thanks go out to Dan, Marise, Matthew, Cortez, Brandon, Olivia, Jackie, and Belal, Noel, and Zachary for giving back to our community.